There’s one thing that all UPS drivers will agree on: you never know what the day will bring. These people encounter some of the funniest and most remarkable things on their routes, and sometimes they’re even accompanied by some loyal four-footer friends. 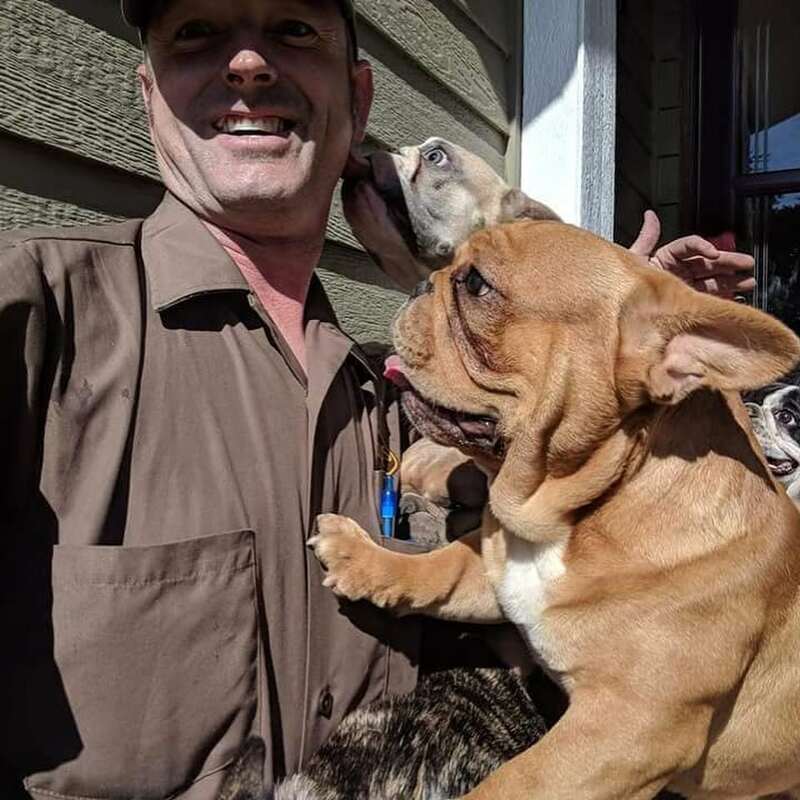 Judging by this amazing set of photos, it looks like pups are always happy to see the UPS drivers arrive at the doorstep, and the same can be said vice versa as well. Whether it’s meeting a new canine friend or saying hello to a pup they’ve known for years, animals always manage to make their days a little bit brighter. And for good reason! 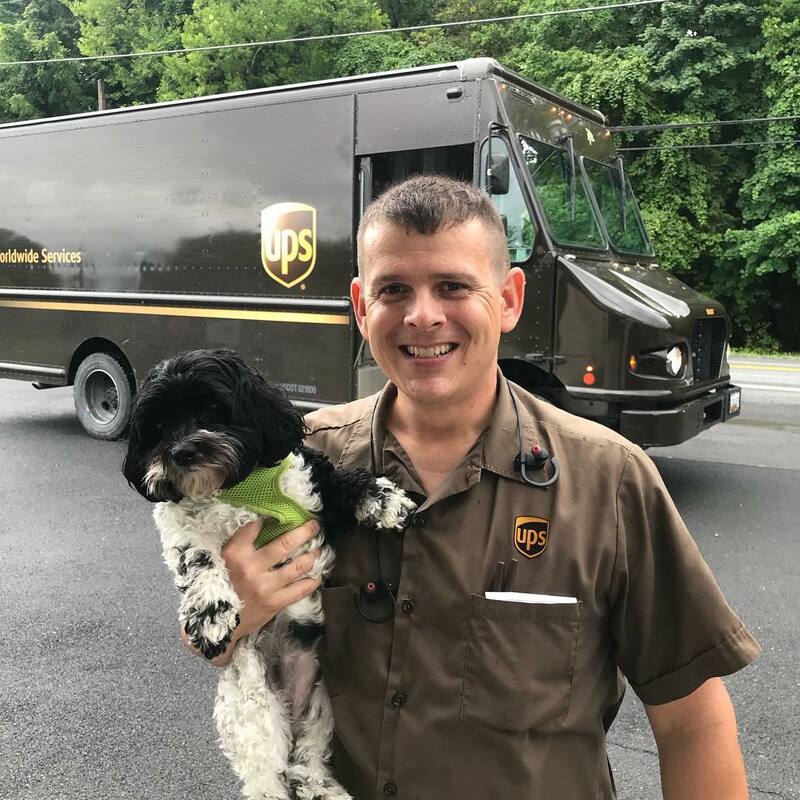 Just take a look at a compilation we’ve made of the best photos UPS personnel has taken on their delivery route. 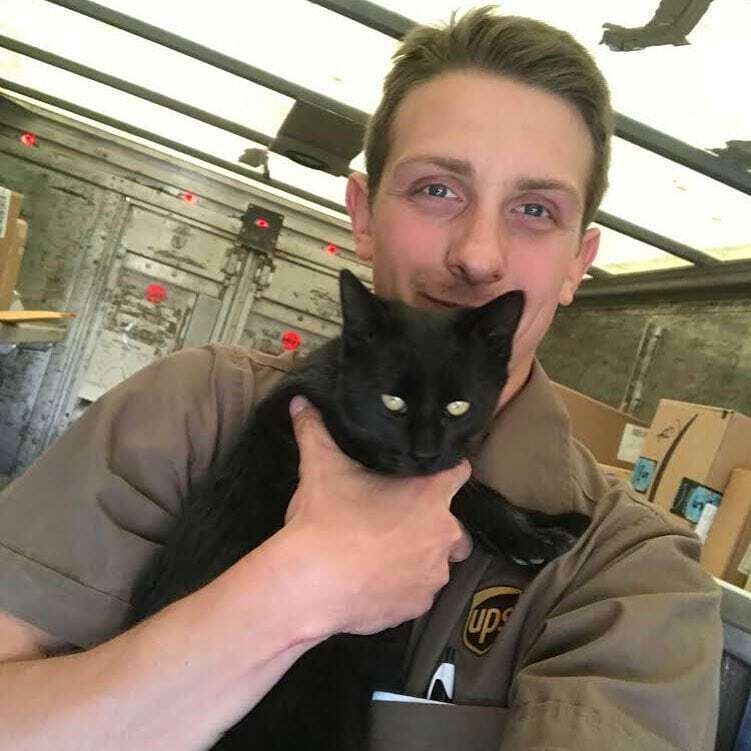 The tradition of taking animal pictures on the delivery routes was started by Sean McCarren, and it didn’t take long before a bunch of his colleagues followed. In any case, be prepared for a cuteness overload. We really can’t decide which has the larger smile: the driver or this adorable bulldog puppy. One thing is for sure, however, these two friends always have the time of their lives together. So much joy in one picture! 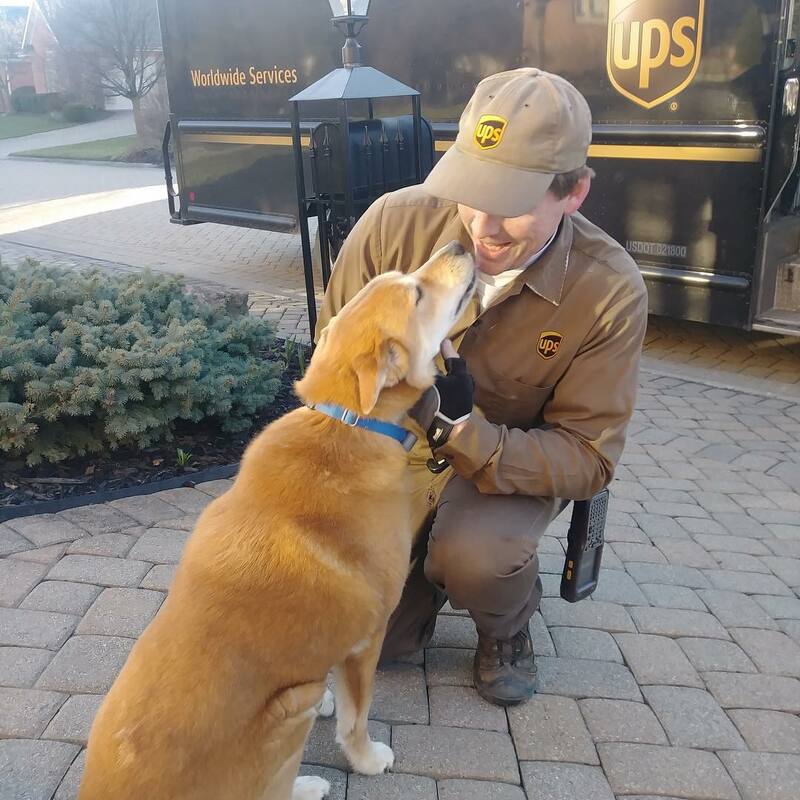 The pup Champ has a special bond with the local UPS driver, but the driver couldn’t give him a cuddle say and say ‘hi’ because no one was home. The package was left on the doorstep and the driver definitely didn’t forget to place a couple of cookies on the window for Champ to stare at until his owners got home. 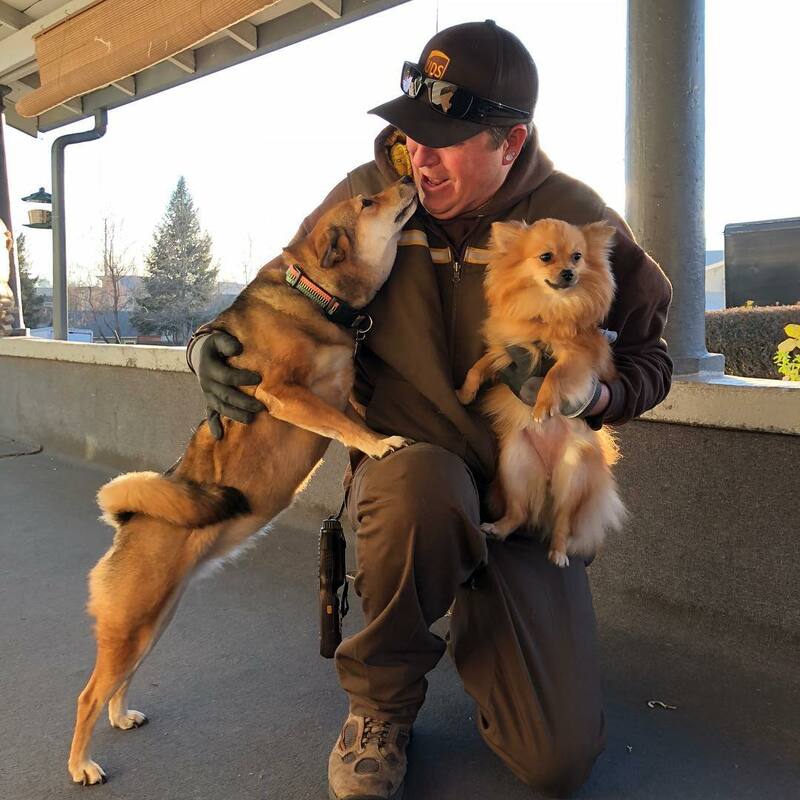 These two four-footers are certainly a remarkable duo, but that makes this UPS driver’s work even more joyful. With Bruno, a 7-month-old Great Dane on the left and the 5-month-old Zebrazoodle Kevin by his side, interacting with the driver is always the best part of the day. When you get to meet the pups Bebe and Yuma on a frequent basis, you know you just have the best job in the world. Driver Sean from Denver never gets bored of saying hello to them and giving them some well-deserved treats. Of course, there’s always time for a fuzzy cuddle as well! 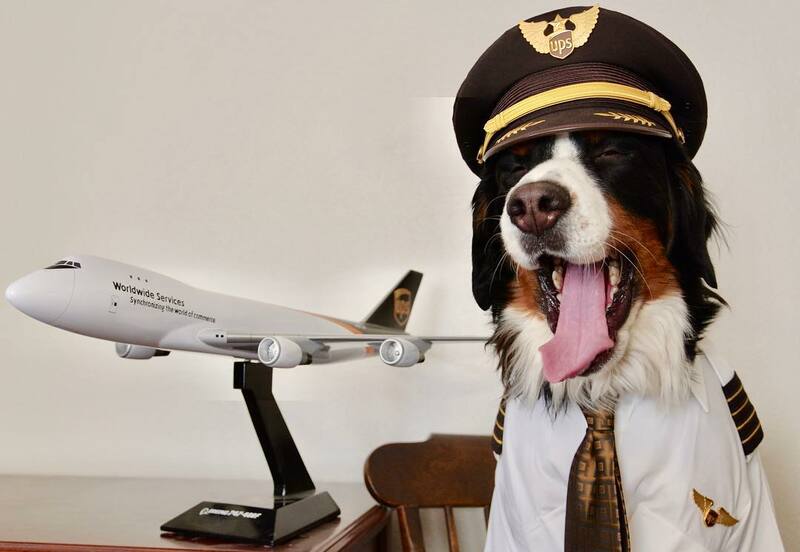 This pup’s owner has been working for the company for more than 25 years and the rest of the family had the idea to honor dad’s long career with a dress-up. 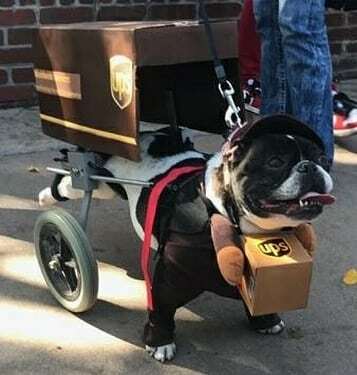 Shayna, a French Bulldog that’s partly paralyzed, was dressed up as a delivery courier and even entered a pet parade competition. The result? First place, what else? Canine siblings Theo and Sam always enjoy spending time together, but they definitely enjoy to hang around with their ‘human brother’ as well, driver Al. He brings them treats, head scratches and throws around a ball for them to fetch once in a while. What more could a pup possibly need? Sometimes, you can just stumble upon some unexpected, but very welcome help. 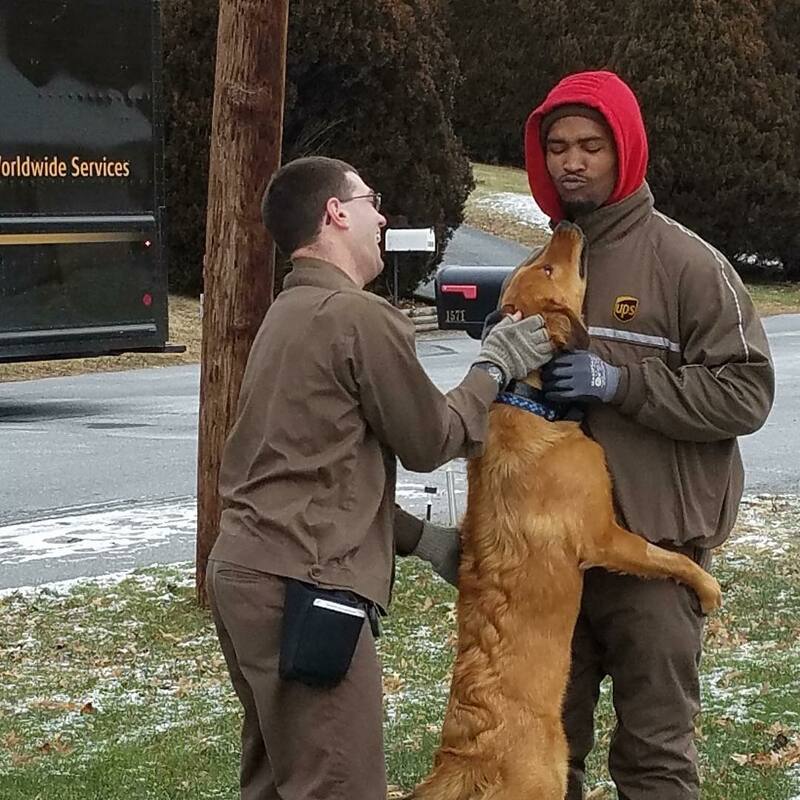 “I stopped my truck and before I knew it, I had a helper,” this UPS driver wrote. Just look at the sheer excitement in those magnificent eyes! Well if this isn’t a super cute sight. These three pups were patiently waiting to get their treat from one of the drivers. 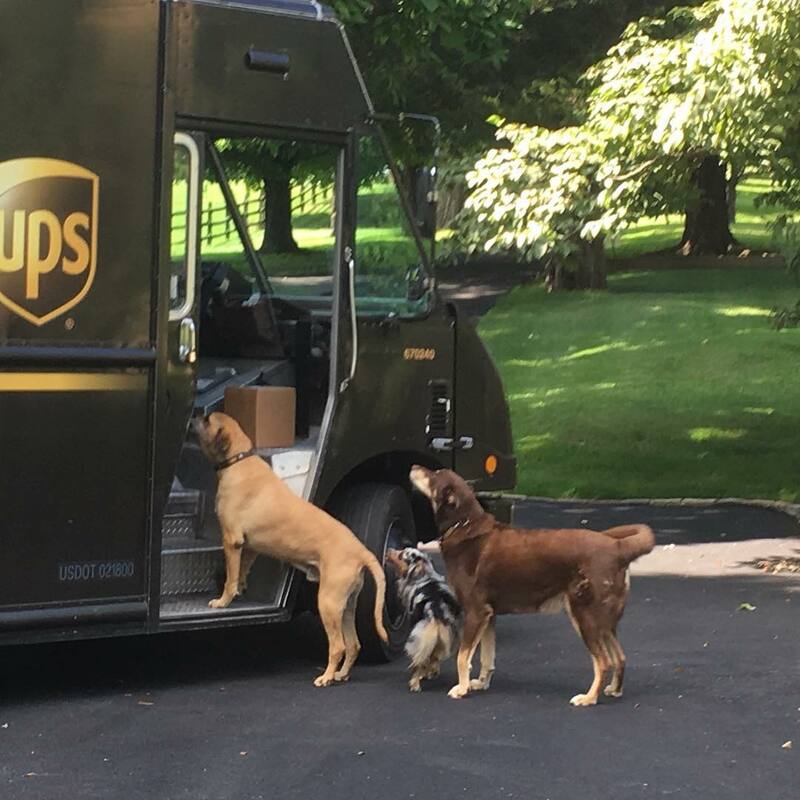 This truck doesn’t only deliver packages, as these dogs Dexter, Pippa, and Jack know that there’s always something tasty in there for them as well. 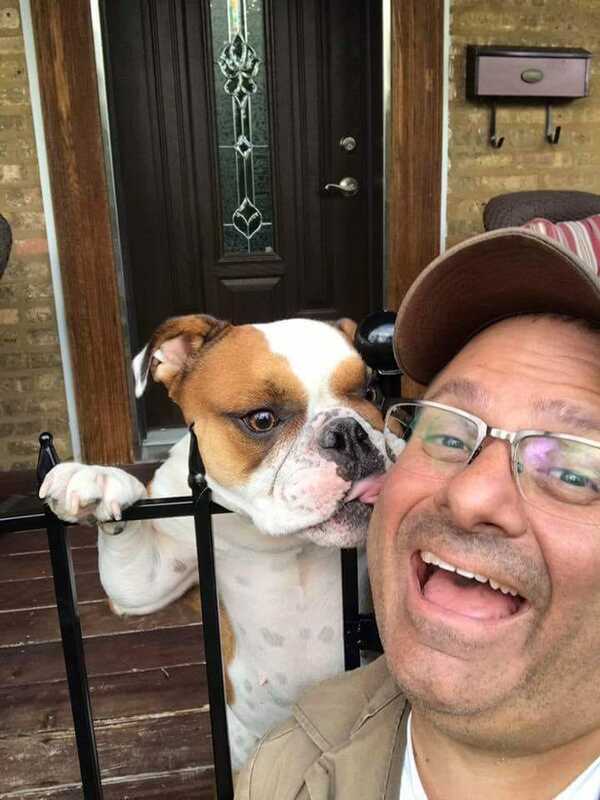 When this UPS driver from Chicago visits this home, he definitely knows that he’s going to be overloaded with affection and warmth. Every single time, this pup stands up to give the driver a peck on the cheek, it doesn’t get any cuter than this. Driver Randy is definitely well-liked on his regular routine, and he often jumps in at a local plumbing store. Randy never forgets his two friends Lola and Cooper and brings a small treat for the two shy Dachsunds every single time. It’s safe to say that a visit from Randy is worth remembering for these two! It doesn’t always have to be a huge grin or a smile, as this photo shows. The expression on Cody’s face definitely says more than a thousand words, and it makes you wonder why this pup was so serious… Perhaps he didn’t receive his treat yet from the driver? This is just a great picture in so many ways. At first sight, you’ll spot the pup along with his pig friend. But if you take a closer look at the left, you might have missed this super tiny four-footer who wanted to say hello to the driver too! 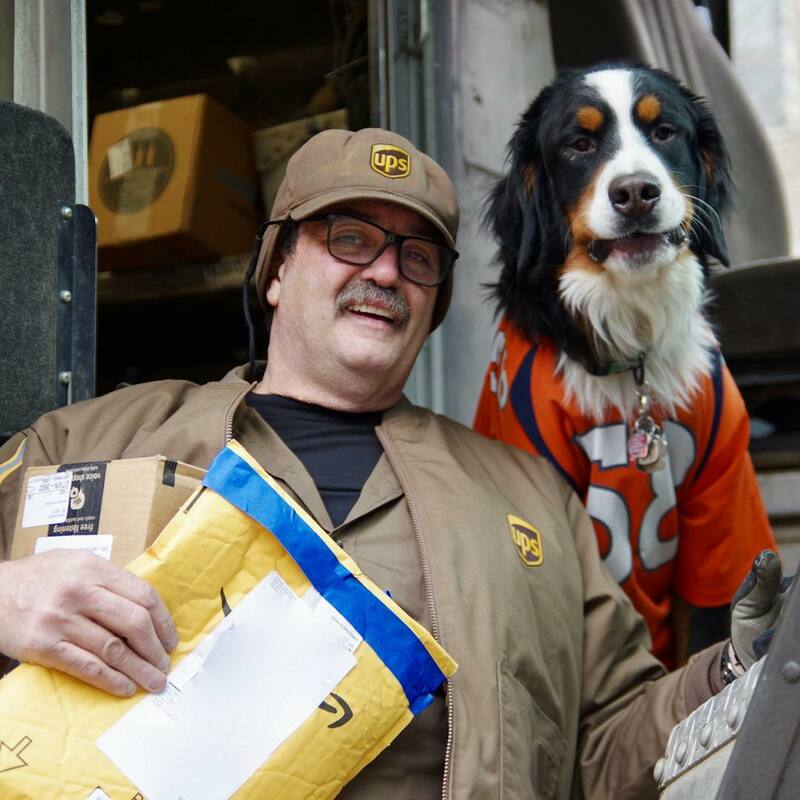 This driver absolutely loves coming to this place to deliver packages, and for good reason. 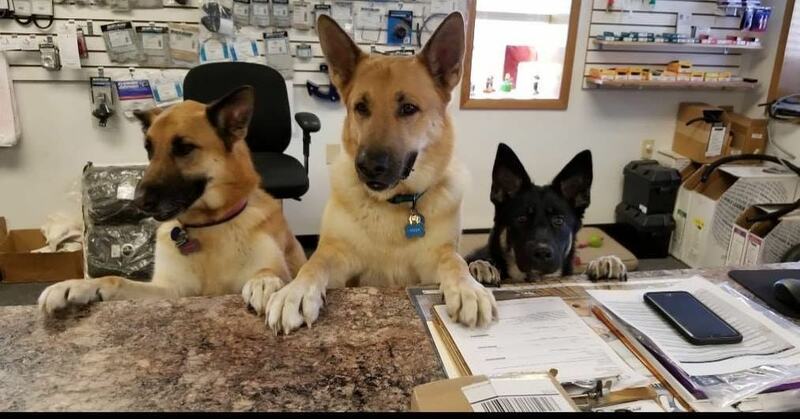 “These three greet me like this every time waiting for their bones. Always a joy when I deliver there.” They all look so excited! Encountering Bella on your daily routine immediately brings a smile to your face. 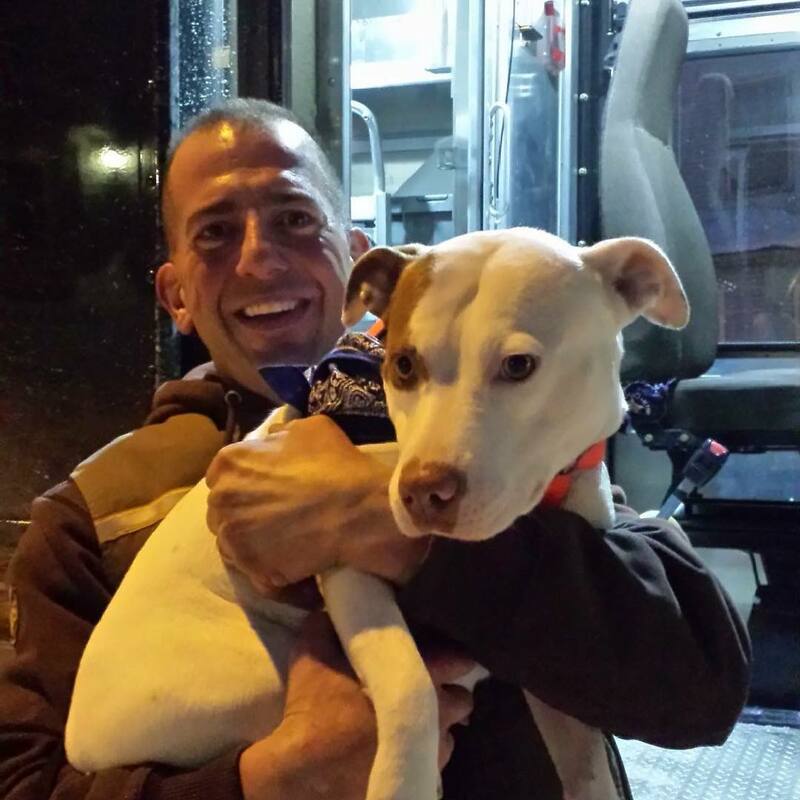 This driver still had a lot of packages to deliver, but he always finds a moment of time to hang around with Bella. Whether it’s playing outside, fetching balls or just doing nothing at all, these two always enjoy spending time together. 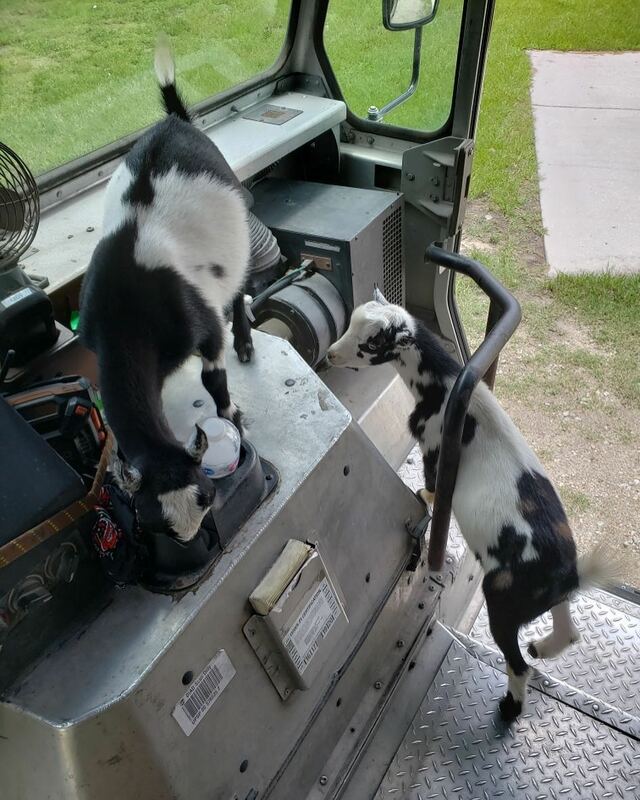 A worker from Zephyrhills, Florida always has treats in the car to give to dogs in the area, but it looks like some other animals were interested in those treats as well… In fact, when these two hungry and curious goats couldn’t find the dog treats, they tried to eat the driver’s lunch! 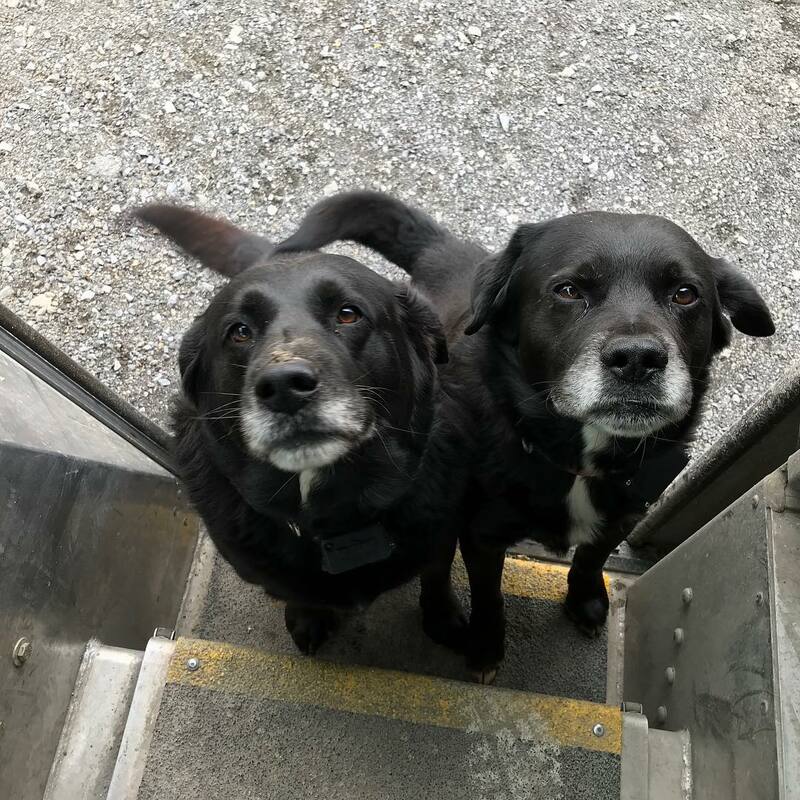 You’ll never encounter these two unhappy because they know that they’ll get a bunch of tasty treats whenever they spot the black and yellow van. 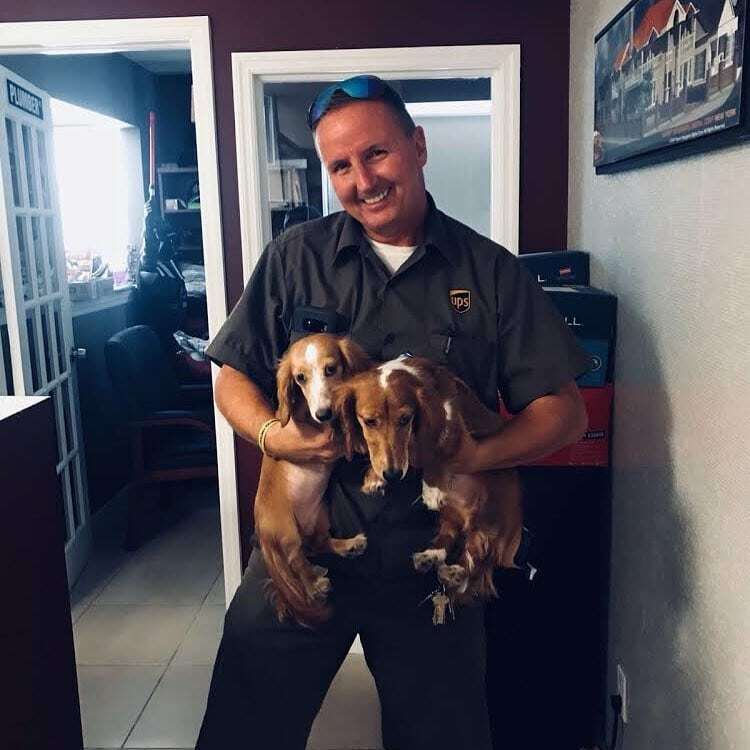 “Best part of the job is making them happy when I deliver!” the driver wrote as a caption to this picture. What a cool and happy duo! Look at this beautiful pup! 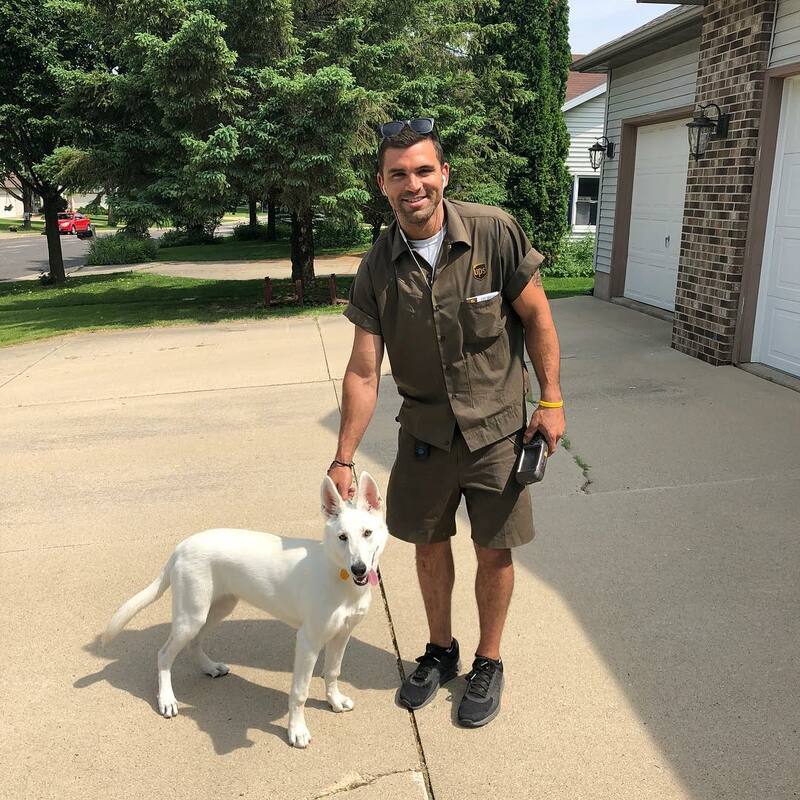 Nova is a white German Shepherd residing in Sun Prairie, Wisconsin, and she never denies the opportunity to say hello to the UPS man. As you can see in the picture, her fur shines almost as bright as the sun! Driver Kate has been giving a couple of these pups treats for a very long time, and it was long overdue to introduce the rest of the family to her. 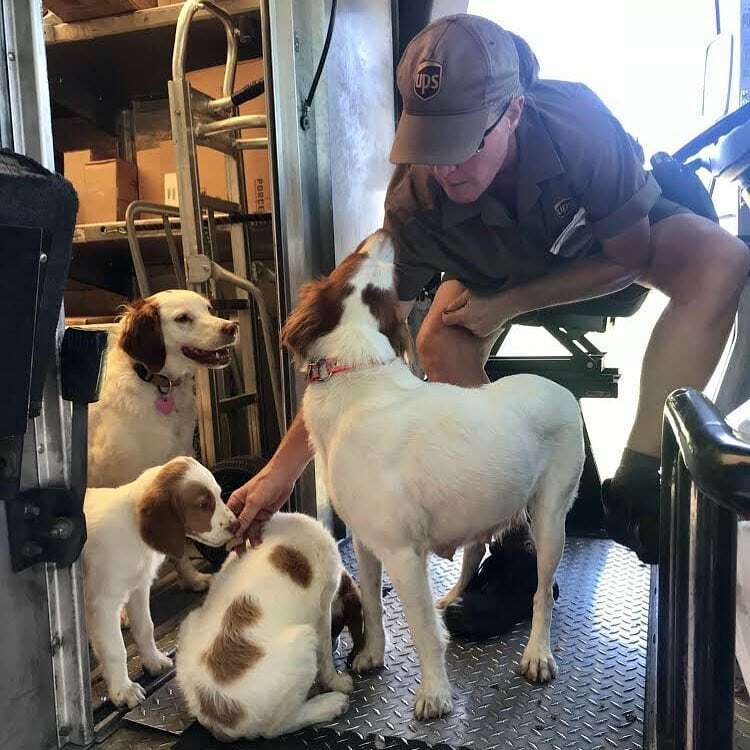 Bandit, Tess, Angie, Bo and Kit all gave their UPS driver a bunch of sweet kisses while they waited to get a delicious cookie. So cute! 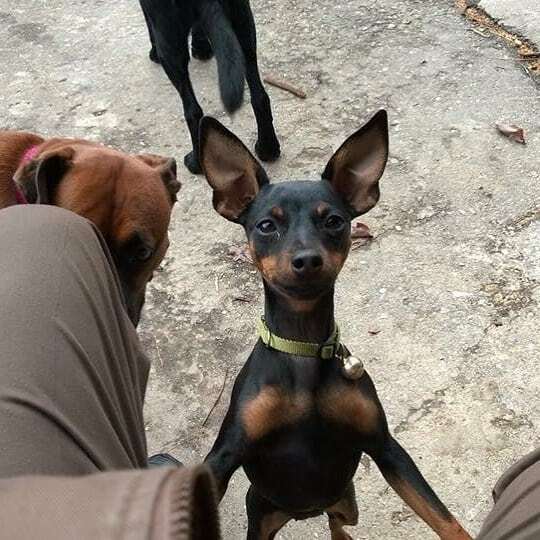 This Mini Pinscher definitely her his eyes on the treat from her UPS driver. With a very determined mindset and the stunning expression on her face, this pup wasn’t about to leave without getting some treats first. What a hilarious picture! 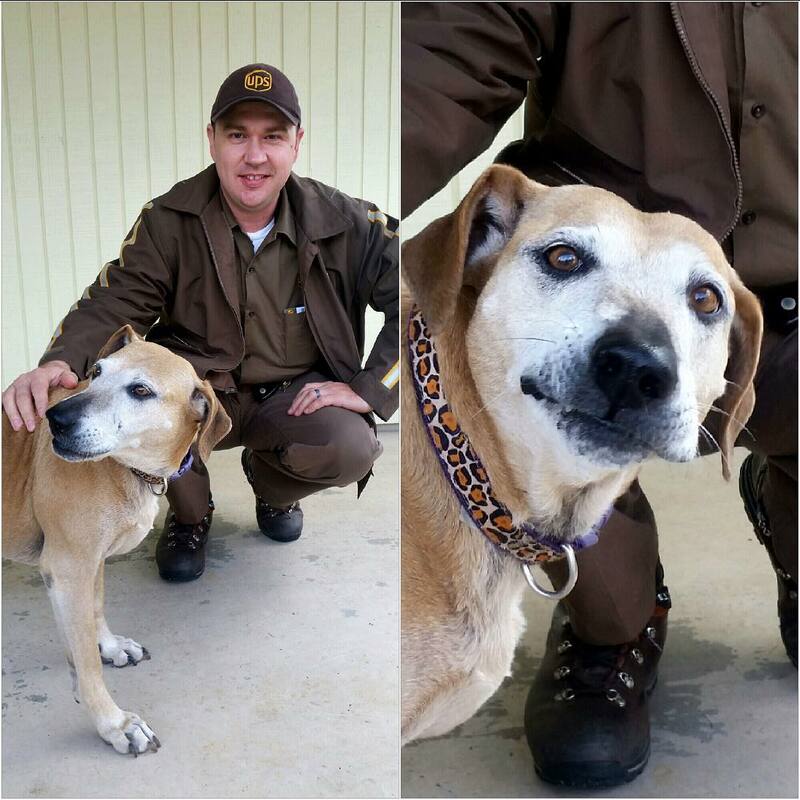 When Steve meets his best friend Sugar, the day almost literally can’t be any sweeter. If you even take a look at these two for just a second, you’ll immediately see the beautiful mutual love. Not to mention, a pup of this size will definitely be able to give big hugs! 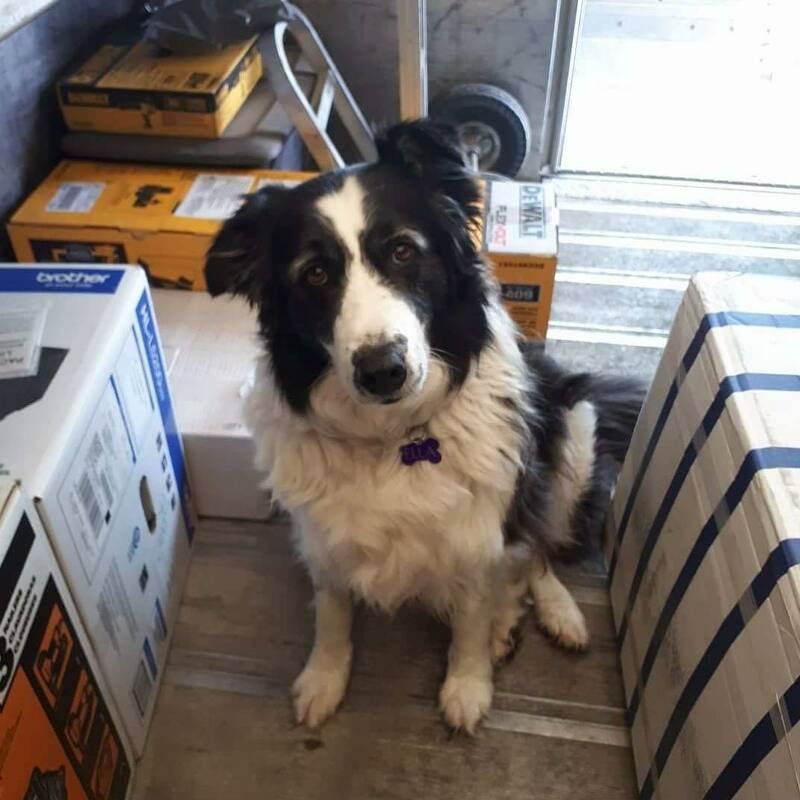 Jovi from Centerville Ohio loves hanging around on the driveway because she knows that there’s a chance that the UPS driver will pass by. The driver and Jovi have met each other more than a decade ago and have built up such an amazing bond together. Every time the driver arrives at the door, it’s the highlight of Jovi’s day. How adorable! 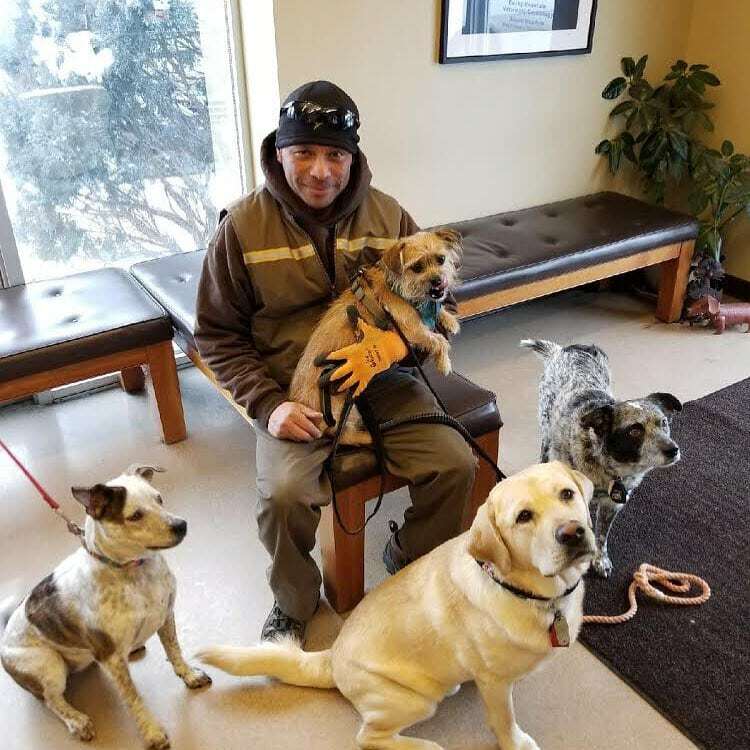 UPS Driver Joey has one certainty in his workday: whatever the route is going to be, he visits one of the vet clinics in Boulder, Colorado every day. As you can imagine, you can’t make daily visits to the vet clinic without making some new friends. He’s pictured here with his buds Stella, Abner, Frankie, and Casey. The pitbull Wally can definitely be described as a very photogenic pup. 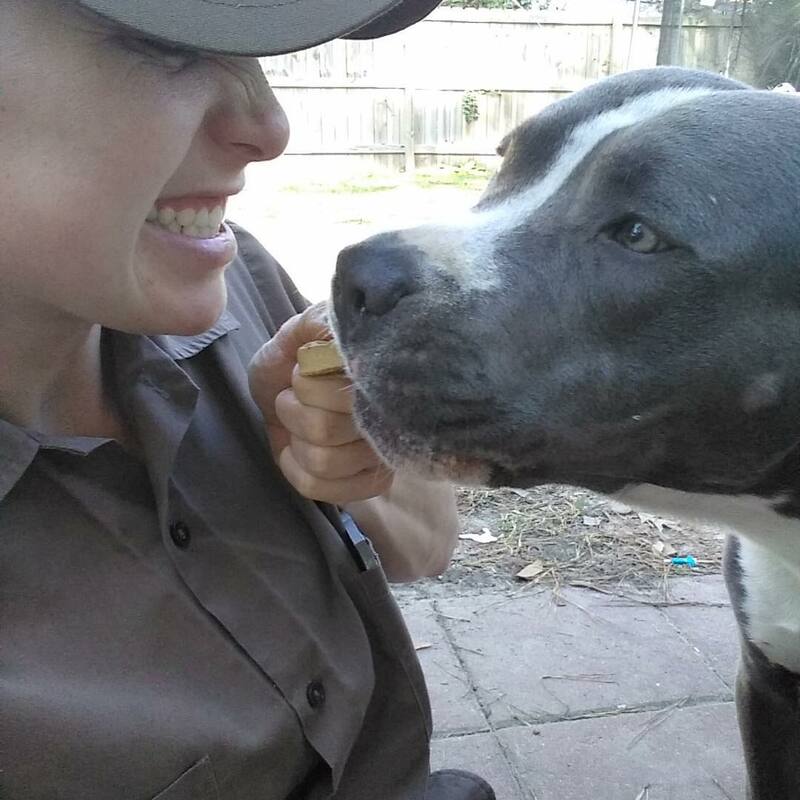 Driver Sabrina always remembers to bring a treat for him but also tried to make a funny picture while handing over the treat. The result? This great shot of Wally all over the camera! 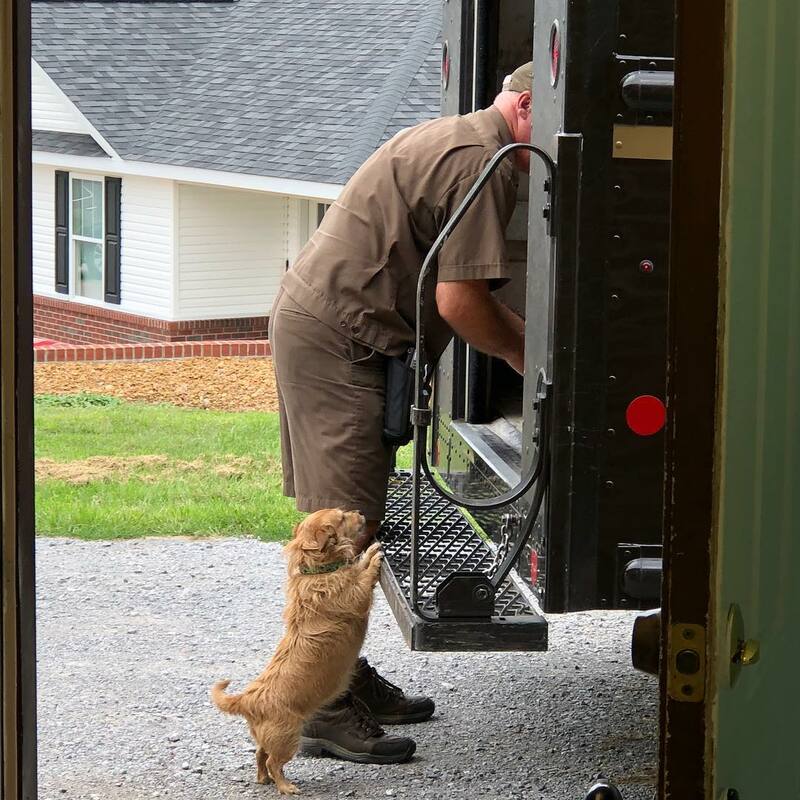 Suffice to say, UPS drivers are very popular with canines as they know their trucks contain a lot more than just packages. 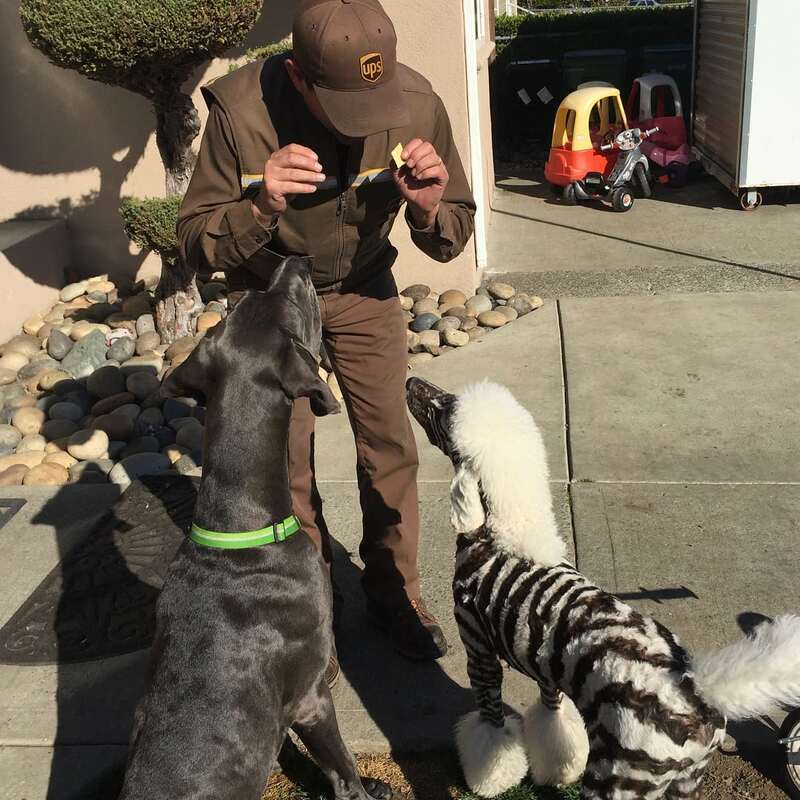 When these two buds showed up together, the UPS driver had a tough time figuring out who was who. They probably wanted to ask the driver which one of them looked better but settled for a treat instead. 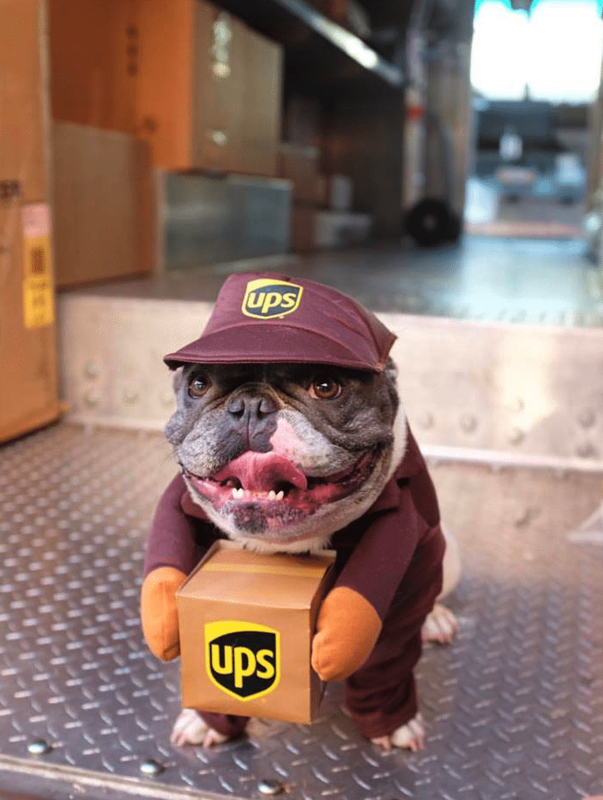 As a package delivery driver, it’s a given that you’ll encounter countless pups every week. 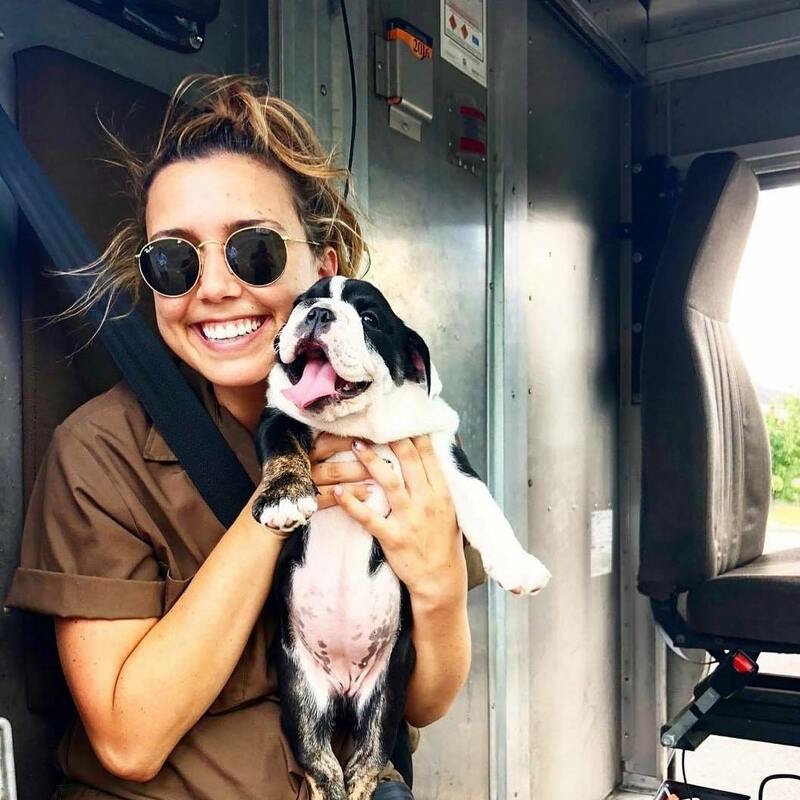 Even though this driver brings treats for every dog he spots, he also doesn’t forget his own pup Jade and gives her a ton of affection and love. According to mom, however, Jade is always wondering what kind of treats he’s giving other pups in the neighborhood. A little bit of jealousy, perhaps? And Jade’s expression? Priceless. When we think of a company such as UPS, the recognizable trucks immediately come to mind. However, the company doesn’t only employ drivers, there are plenty of pilots as well! This little fellow, Captain Parker, is one of them. Apparently, he’s responsible for delivering all of the dog cookies in a timely fashion. 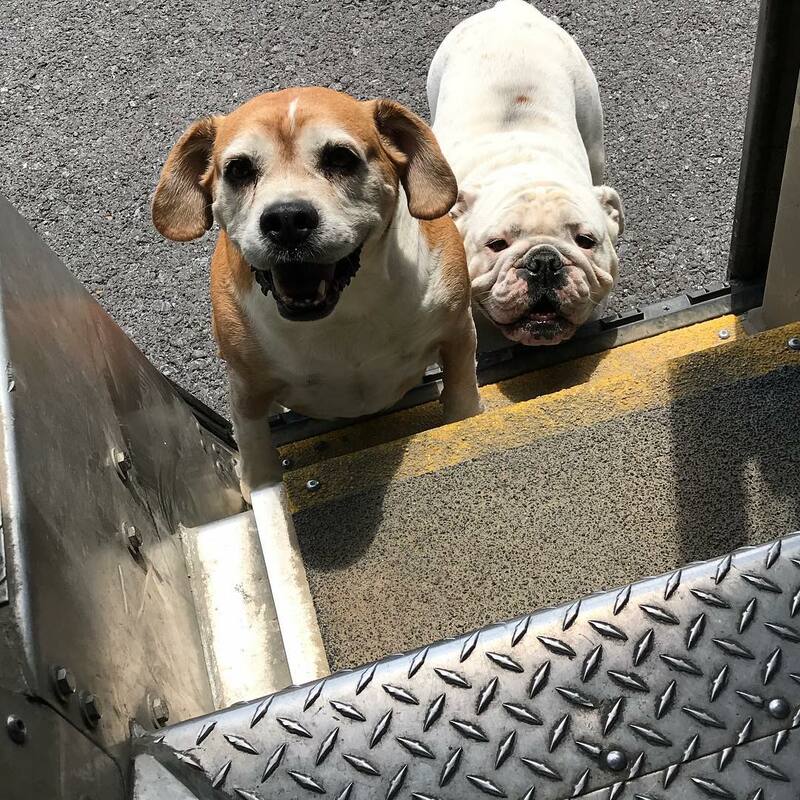 Even though the back of a UPS truck is usually occupied by dogs (and packages), there’s plenty of room for other animal species as well. This stray cat, for example, simply hopped into the truck on one night because she was completely underfed and all alone. Driver Eric looked after her for the entire day and made sure she was fed properly. When it was clear that this feline didn’t have a home, Eric and his wife adopted her and named her Duchess. There’s nothing better than meeting a pup for the first time, knowing that you’ll build up a wonderful bond over the coming years. Meet the adorable little tucker from Hedgesville, Wyoming. Because he’s so small, it took him a while to get in the truck, but the driver was more than willing to assist this cute little guy. 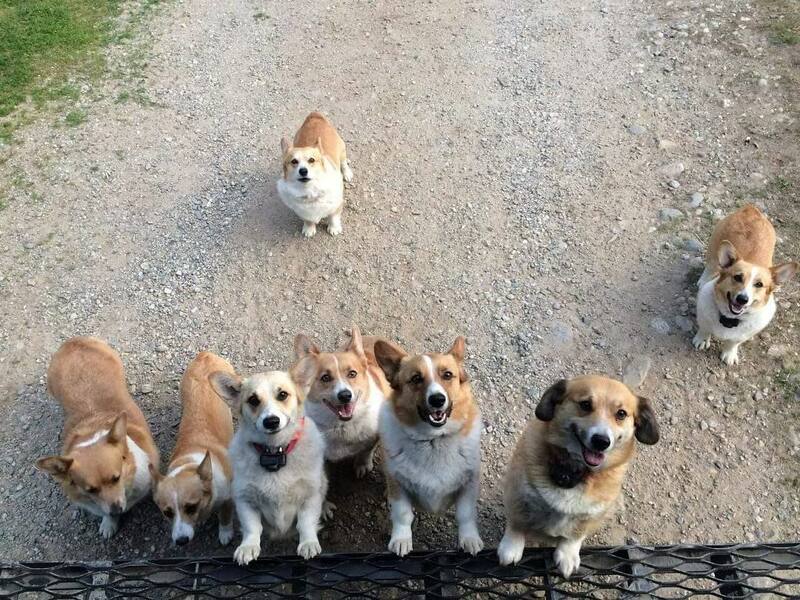 Talk about a corgi overload! 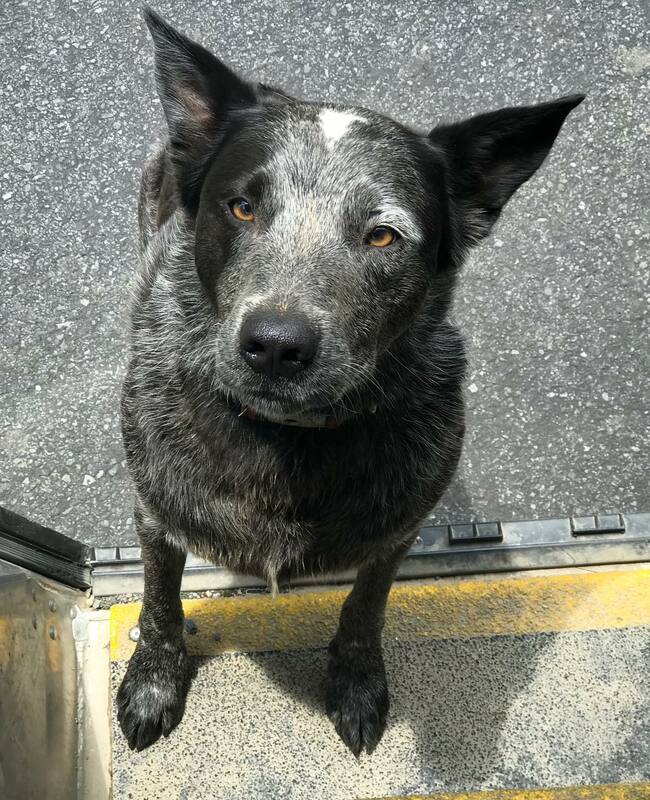 This driver from Keene, New Hampshire is used to seeing a lot of pups on the road, but this one time he was flooded with some lovely canine attention. They were all looking for the same thing: some human love and a couple of tasty treats. Getting into a truck isn’t exactly an easy task if you’re not a big pup, but that doesn’t mean you can’t try to take a peek inside! The adorable little Jessie was wondering if there were any Bark Boxes inside the truck. What a sweet and earnest puppy! Meet none other than Mister Flynn, an adorable looking White Terrier who was rescued from the streets and has now found a loving forever home. 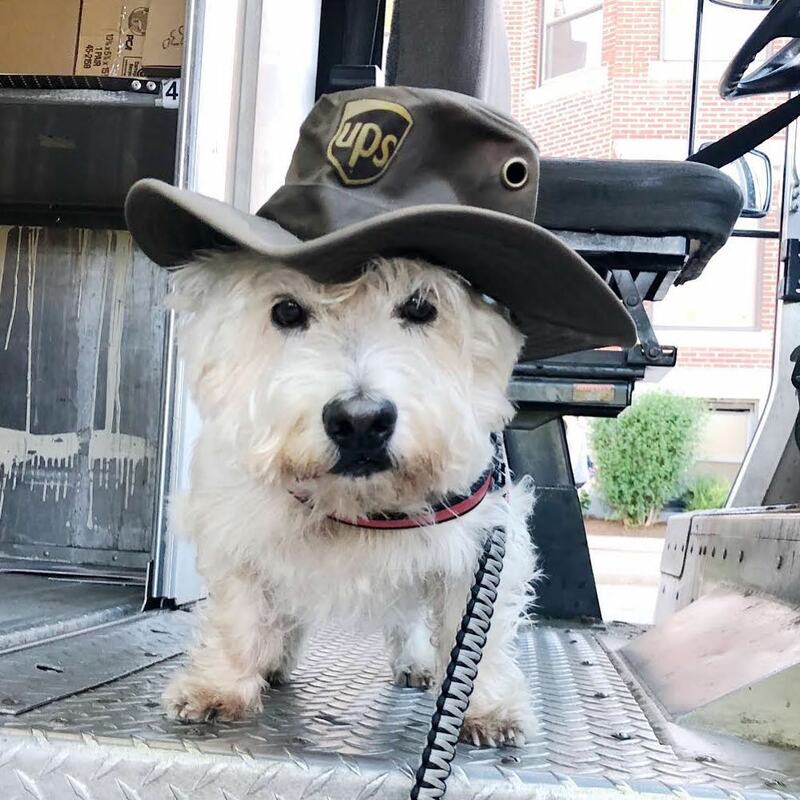 He definitely enjoys spending some time with his favorite UPS driver and even likes wearing one of their hats! All work, no play. 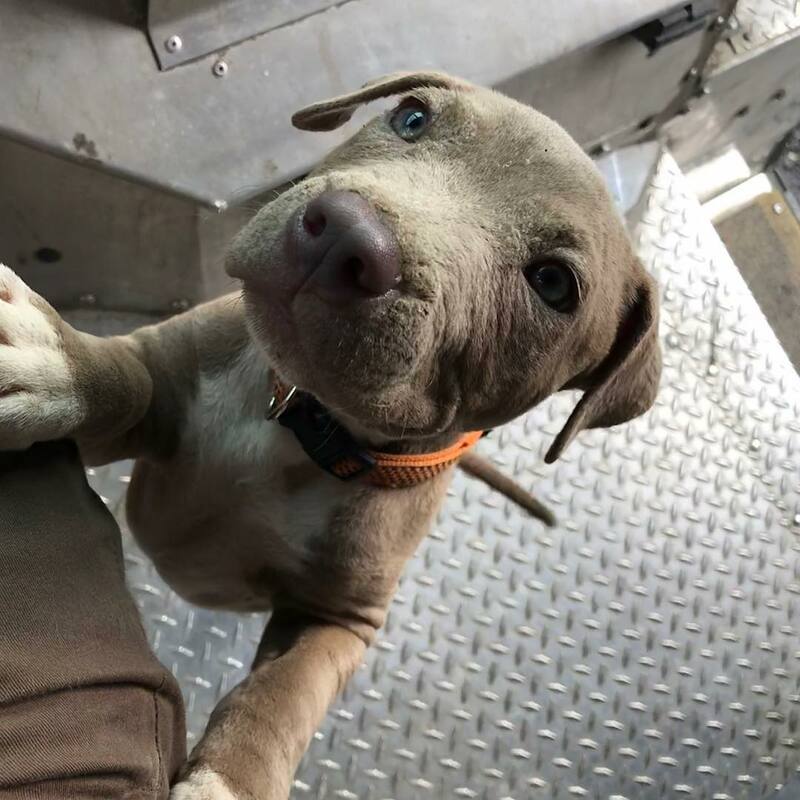 One of the drivers recalls getting stuck in the snow in the middle of the Winter, but luckily, this adorable pup was around to keep the driver company. The cute and loyal Ella hopped into the delivery truck and even stuck around until the tow truck arrived. That’s what friends do! This immensely cute little fella considers himself to be an employee of the company, and he even wears a uniform just like everyone else! If there’s a smaller package that needs to be delivered, Pepe will be ready to assist. He loves to help his driver too, as he gets paid in biscuits. Sport is simply in love with his delivery buddy from Belle Glade, Florida. These two have built up a very special friendship over the years. Even though Sport has reached a senior age and is now completely deaf, he can still smell the delivery truck from miles away. 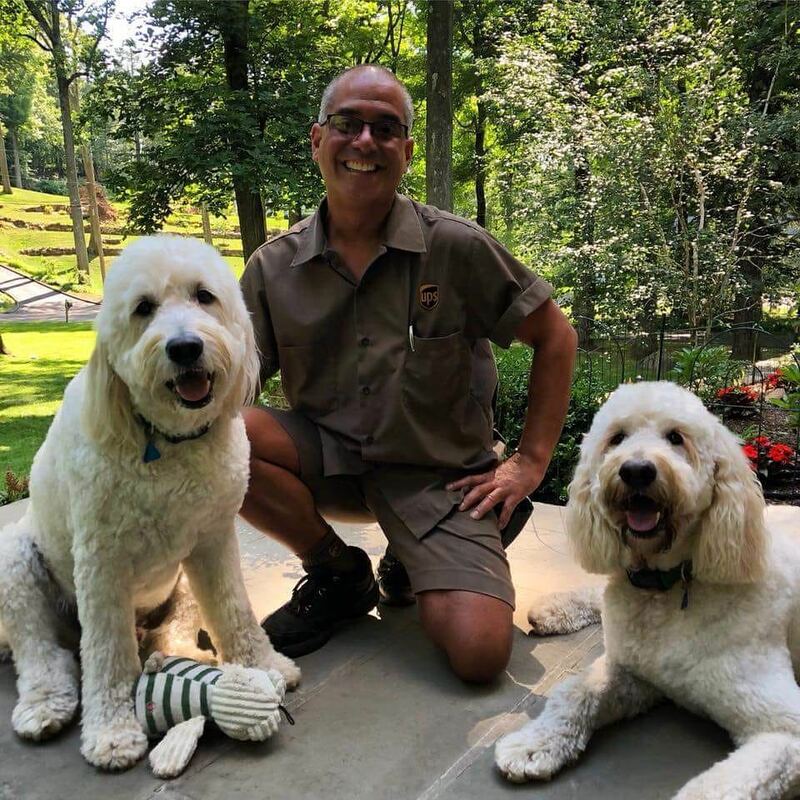 It was quite a tough day for this UPS driver, as he had just made tons of deliveries on one of the busiest days of the year: Amazon Prime Day. Luckily, he was comforted by all of these absolutely wonderful pups that brought him straight to puppy heaven. 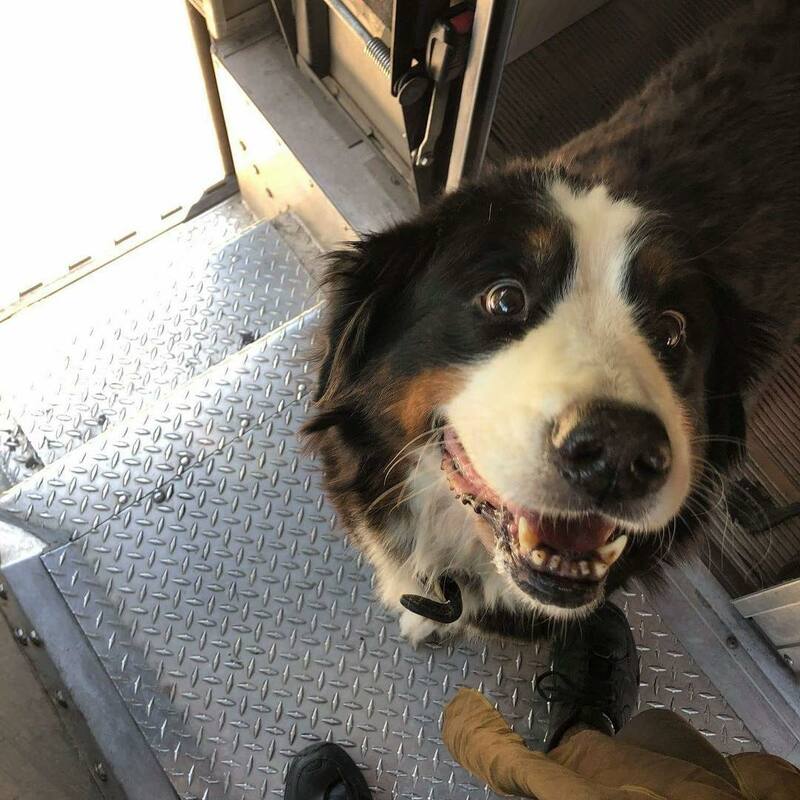 “This is Loki, and he’s been the highlight of my mornings while I’ve been assigned to a Peak Season residential route,” driver Rob writes about the pup. When the delivery truck approached, Loki’s owner lets him play outside with the driver. The owner was also more than willing to take this adorable picture. Tom and Jerry, Batman and Robin, Bert and Ernie, no duo can possibly compare to Rob and Parker. Parker the Snow Dog regularly visits driver Rob in his hometown of Georgetown. Funnily enough, the pup is often seen wearing sports shirts, which makes for great pictures such as this one. 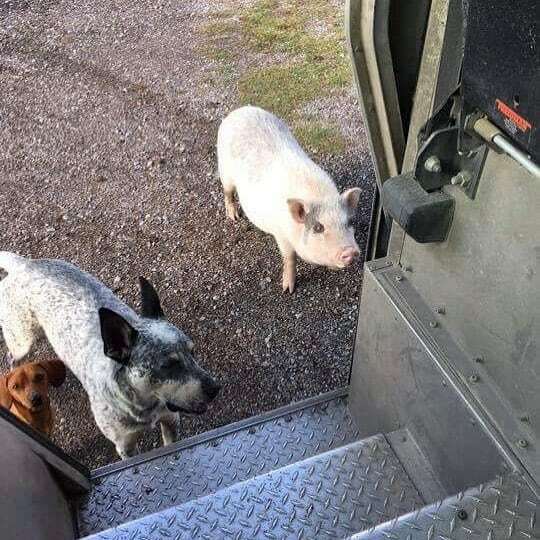 Driver Steve says that Border Colliers have absolutely great manners, but we’re not sure if that counts for these other guests as well. If you have to deliver packages on a farm in rural Pennsylvania, encountering a flock of chickens like these is certainly a possibility you have to take into account.